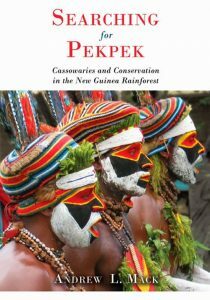 In the wilderness of Papua New Guinea, Andy Mack completed some of the first in-depth and long-term ecological studies ever undertaken in Melanesia. After decades of research, he came away with insights into conservation, economic development, and the global politics of earth stewardship. This book is the story of Andy’s personal and scientific journey. His adventure is akin to stepping through a portal into a time and place where ancient cultures clash with modern sensibilities, of surviving in a country where there is no access to electricity, health care, roads, telephones, or police, all while searching for a dinosaur-like bird, some species of which can reach 6 feet, weigh 55kg, and are one of the few birds that can easily kill people. Back in 1990, when Neville Peat wrote The Incredible Kiwi, the national bird was in retreat, from habitat loss and the severe impact of predation. It was not well understood, being nocturnal and hidden in the forest. Most Kiwis had never seen their national bird. During the 1990s, saving the kiwi became a popular cause. Community kiwi conservation projects have emerged all over the country, especially in the North Island. And scientific research has led to greater knowledge of the bird’s population dynamics and distribution. The kiwi has truly become ‘the people’s bird’. 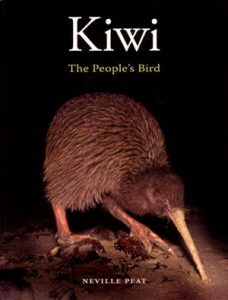 In this book, the author describes the kiwi from every point of view, from wild bird to national emblem. What is this biological oddity called the kiwi? Exactly how many species of kiwi are there? Where do they live? What do they eat? How are people helping them to survive? Why does this bird have such a major place in the Kiwi nation’s life? And he tells the story of the largest popular movement in support of an endangered native species that New Zealand has ever seen.